Stressed out by life? Need a little extra comfort, inspiration, and love? 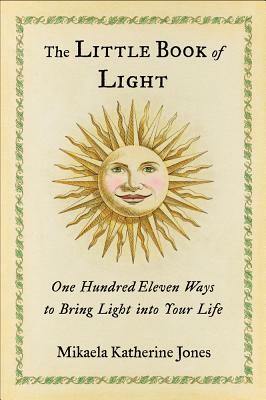 Whether you've lost your way or are just having a bad day, The Little Book of Light: One Hundred Eleven Ways to Bring Light into Your Life is the ideal pickmeup, reminding us that love and joy are available in every moment of our lives. This elegantly packaged little gift book will inspire, uplift, and enlighten readers with digestible nuggets of inspiration. It appeals to people of all spiritual traditions and at various stages on their spiritual path without being religious. The Little Book of Life is bitesized inspirational wisdom that will help illuminate your path, no matter how dark it may sometimes appear. It will help you stay connected with your True Self, and find daily delight so you can SHINE. Mikaela Katherine Jones is an intuitive and a sound healer. She has been studying, practicing, and teaching meditation, hypnotherapy, spiritual empowerment, and New Thought disciplines for over 20 years. Visit her at www.mikaelajones.com.